Wayne Curtis majored in English at St. Thomas University. He is a winner of the Richards Award for short fiction as well as the CBC Drama Award and the Canada Council of The Arts. Wayne has contributed to a number of publications, including The Globe and Mail, Quill and Quire, Outdoor Canada, and The Atlantic Salmon Journal. His stories have appeared in The Antigonish Review, The Fiddlehead, Pottersfield Portfolio, among others. In 2005 he received an Honorary Degree of Letters from St. Thomas University and in 2014 The Order of New Brunswick. Wayne currently divides his time between his cabin on the Miramichi River and Fredericton. 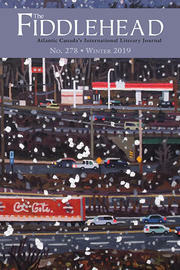 Jane Spavold Tims is a writer and artist living in rural New Brunswick. She has produced two collections of poetry, within easy reach (about wild edible plants) and in the shelter of the covered bridge (about plants and animals living in the vicinity of our covered bridges). Both are published by Chapel Street Editions (Woodstock, 2016 and 2017). Jane has also published four books of science fiction, long poems about romance and adventure on a distant planet. Her books in the Meniscus series, are Crossing The Churn, One Point Five — The Missing Forty Days, South from Sintha, and Winter by the Water-climb. 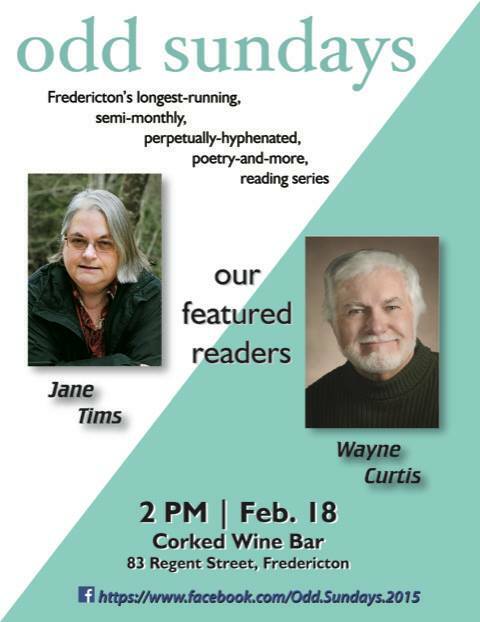 Jane won the 2016 Alfred G. Bailey Prize in the Writers’ Federation of New Brunswick literary competition for her manuscript of poems about bird calls.